Thermostatic steam traps for clean steam. Designed to allow complete condensate drainage and easy disassembly and cleaning. • Thermostatic steam trap for clean steam. • Crevice-free design allows for condensate drainage without pooling. 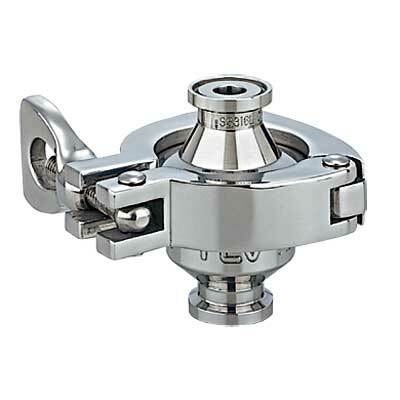 The interior of these steam traps is designed to prevent corrosion and bacterial growth. Clamp connection at the joint allows for easy disassembly and cleaning. Interior and exterior surfaces of the steam trap are available in three classes, natural machining, fine machining and buff-polishing. Models are also available with electro-polished surfaces for further improved to prevent bacterial growth. Condensate removal from clean and pure steam. Bio industries, manufacture of pharmaceuticals, medical sterilizers, food production, etc.